Don't these look amazing?!? Well, guess what? They are! I am not gluten free, but more and more I am finding those that are. I was asked to make these by special request, and I decided to try them out in a test run before delivering the goods to make sure they turned out alright. They are definitely more than alright... they're pretty tasty. It's hard to believe that there aren't any grains in these brownies. 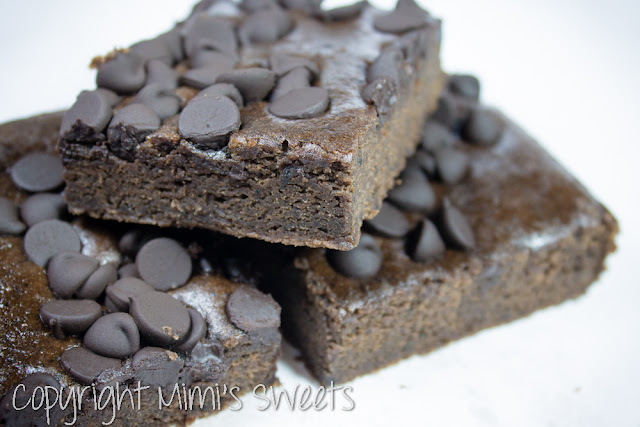 So, if you're looking for a nice gluten or grain free treat, these are definitely for you!